Voted secondary winners by Readers Choice for 2017 & 2018! With an ever-increasing population, Calgary’s public and catholic schools have the largest class size for kindergarten to grade three in Alberta. These schools are above Alberta’s learning commission guidelines of the six school districts, and with too many children, parents find themselves asking what the right number of children in each class should be. Generally, it is recommended that classes for kindergarten to grade three have at the most 17 children, with grade four to six classes at a capacity of 23 kids. However, in some local schools, teachers find themselves with 26 kids in grade one classes and 34 kids in grade four classes. At Asasa Academy, smaller than recommended-by-guideline class sizes are promised to ensure that your child is receiving the utmost attention and education. Why are Calgary Schools Overpopulated? Ten years ago, 92 percent of school districts were meeting grade four to six targets. Presently, teachers instructing all grades of the Alberta curriculum are overwhelmed by the population. Most people tend to have children when the economy is thriving, and that is exactly what everyone did during the success of Alberta’s economy. In 2008, Albertans were having 14.1 babies for every 1,000 residents; this birth rate was the greatest of the ten provinces and created a baby boom. Because of this, the student population rose 20% in only a decade, and the construction of new schools in recent residential areas has not been able to keep up with this volume. As parents, it is difficult to remember what being in a preschool – grade six class was like, and how crucial it is to have a low student-teacher ratio. 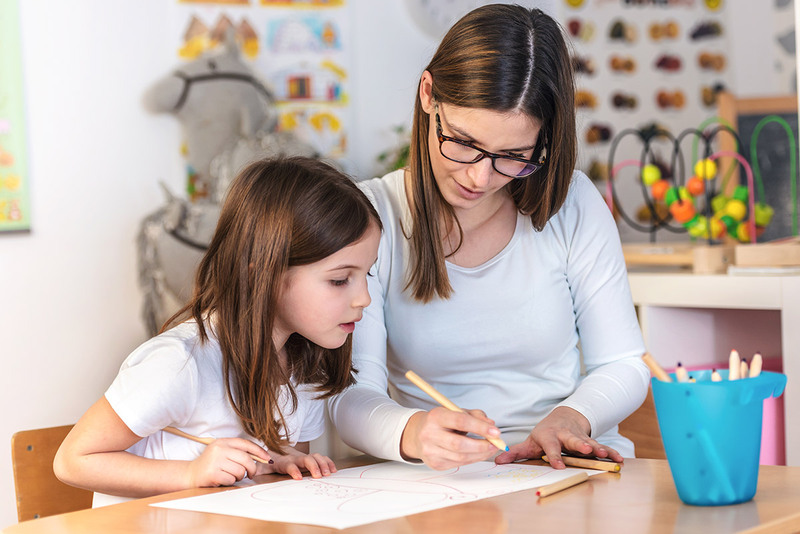 As heavily dependent children at this age, being a teacher for these grades is much more challenging and complex than for junior high and above. For example, in one particular first grade class of 26 kids, the teacher in this class not only had to teach the students and look after them, but had students with speech and language delays, fine motor delays, multiple behaviour concerns, English as a second language and medical needs. When a class of this size has these complexities, the learning outcome on an individual basis never reaches its full potential, and not all children’s needs are being met. Consequently, some students lag behind where their abilities could lead them. There are many beneficial factors to the small class sizes at Asasa Academy. With a low student-teacher ratio, there is more one-on-one time with children and their teachers. When a child has more one-on-one time with their teacher, they build a stronger relationship, and the child feels more comfortable asking questions. With this, students feel like their work matters, and they excel. Teachers at Asasa Academy are better able to ensure that students engage and partake in the material, and with less work to correct, the chances of flaws in one’s work being overlooked is lessened. Asasa Academy does not just pride ourselves on the speed at which the Alberta curriculum is taught, enabling the exploration of more topics, but of the close-knit class connection that is created from our decreased class sizes. Furthermore, within the small classroom settings at Asasa, our students interact and form relationships with all their classmates, greatly increasing their social IQ at an early age. In the aftermath of the regional population growth, public and catholic schools in Calgary struggle with where to put all the children. Because of these crowded classrooms, individual needs and educational goals are not being met. At Asasa Academy, our smaller class sizes allow for better academic achievement with more attentive teachers better able to address the individual needs of the children to help build their success educationally, socially and physically.